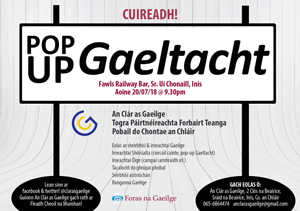 When Gaelcholáiste an Chláir was established in 1994, the parents considered that there should be some event during the summer holidays to assist them to enter the spoken language environment. They decided to establish a Summer Camp to achieve this. The first summer camp took place in 1996 organised by the Parents Committee of Gaelcholáiste an Chláir. 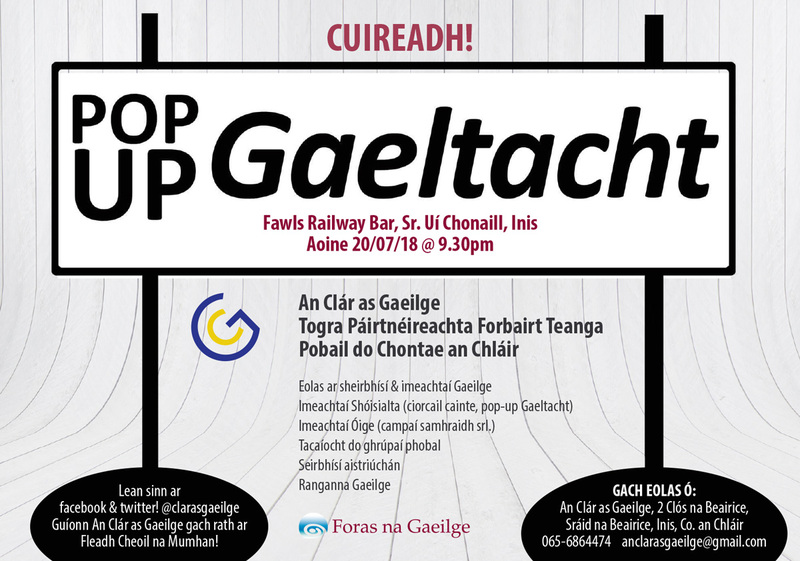 It was held in Gaelcholáiste an Chláir and in the Community College Hall and lasted for one week. Over time the Summer Camp outgrew its original venue and so it was decided to move to the Gaelscoil on the Gort road, where it has been held since. Further information: 2 Barrack Close, Barrack Street, Ennis.